Have a nice weekend and thanks for stopping by! La felicità è sempre a portata di mano, basta afferrarla! 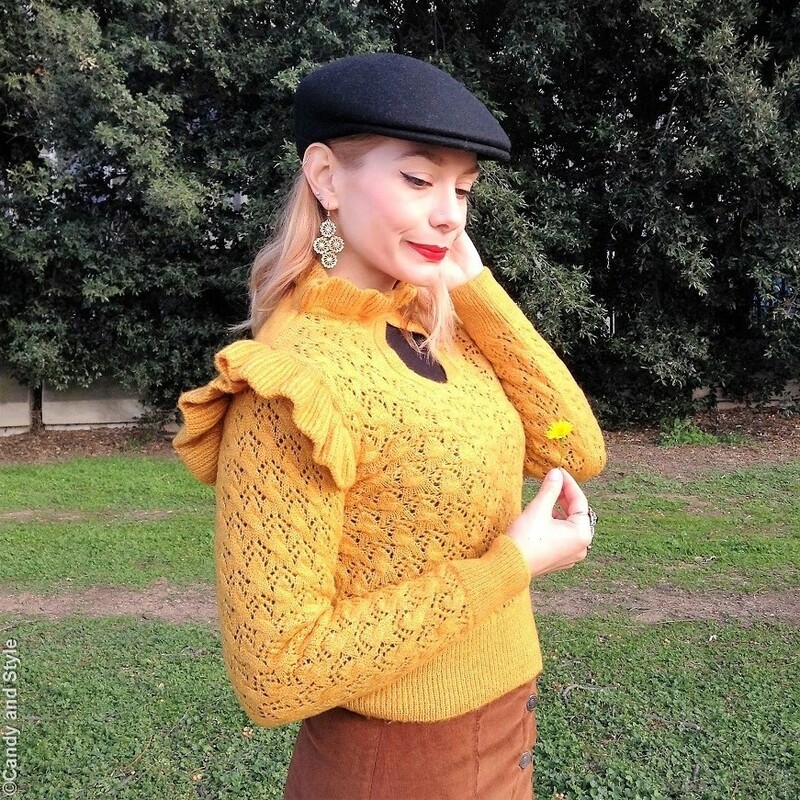 Come ti stanno bene questi colori caldi e come mi piace quel maglione! 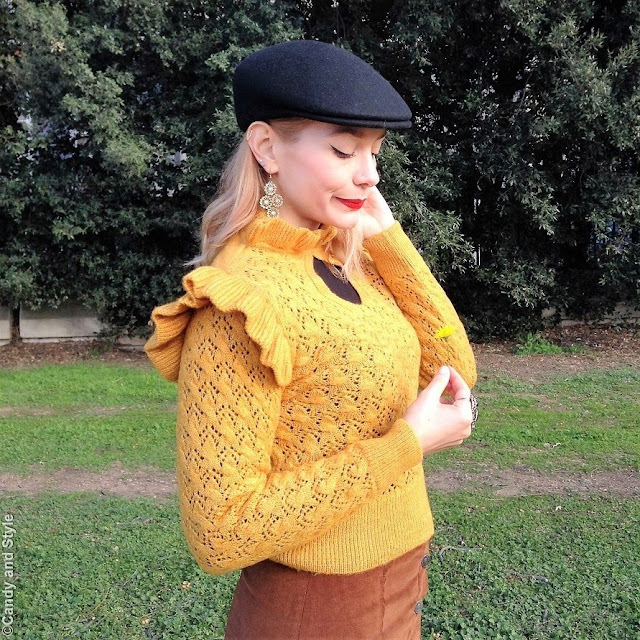 Quel maglioncino giallo è un amore e poi il colore ti dona molto! I feel warmer just looking at you in this pretty outfit Lilli! Superbly styled and super sweet as always! Happy weekend! Hi Lilli, your combination of ruffles and hearts are so pretty and feminine. 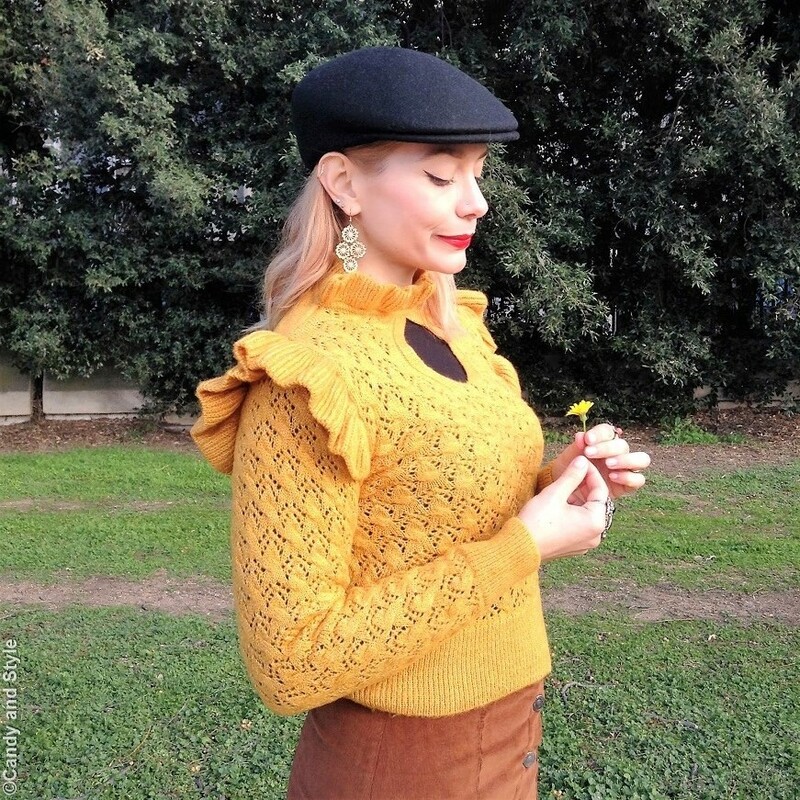 Love the combination of yellow and brown for winter. It adds a dash of colour to this dreary winter. Such a pretty nice Outfit dear Lilli and remind my of parisienne style. I alos love the bright color of your cute ruffle sweater.